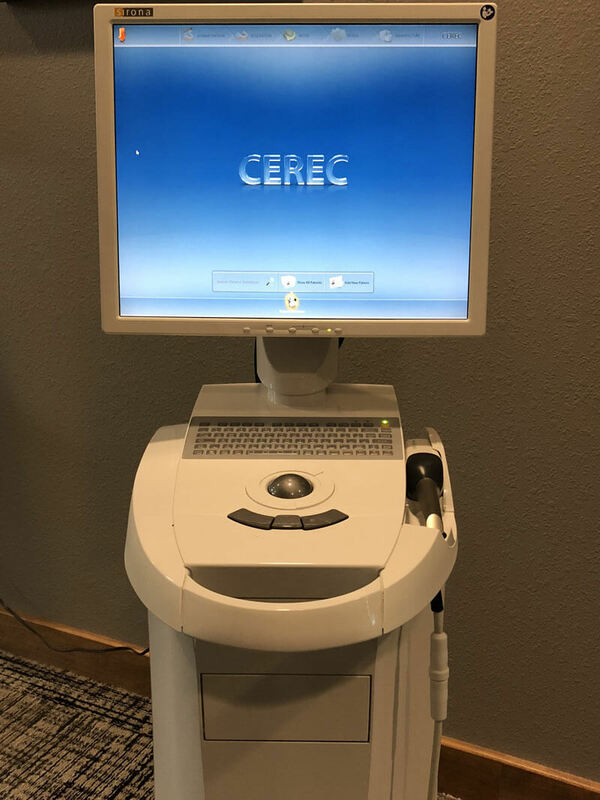 Our office uses CEREC technology for restorations. CEREC is an advanced dental technology that is utilized for the restoration of decayed, cracked, or chipped teeth. CEREC can create full crowns, inlays, onlays, and veneers. The CEREC machine crafts a restoration in a matter of minutes. CEREC restorations are made of compressed porcelain. The most beneficial feature of receiving a CEREC restoration is that it is accomplished in one visit. In addition to the benefit of a one visit restoration, there is no uncomfortable impression material to bite on or temporary to wear.